Welcome to my Trip Report on Uni Air's ATR-72-600! Prior to booking this flight, I had thoughts about flying on this airline's ATR-72-600 but because of the not so long ago Transasia's ATR-72 crash earlier this year, I didn't feel confident about flying on it. 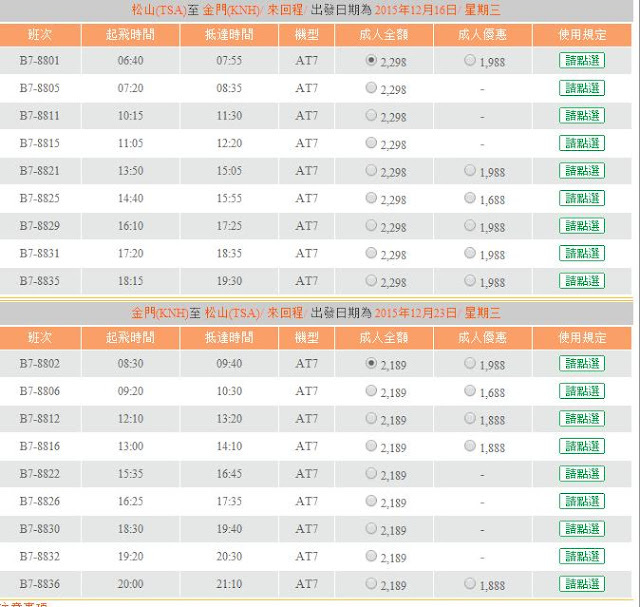 However, as time passed by, looking at other trip reports and no further incidents involving this aircraft, I decided to break my fear and go ahead with my plan and at the same time, booked myself on TransAsia's ATR-72, after all I like to complete flying the Taiwanese domestic carriers. 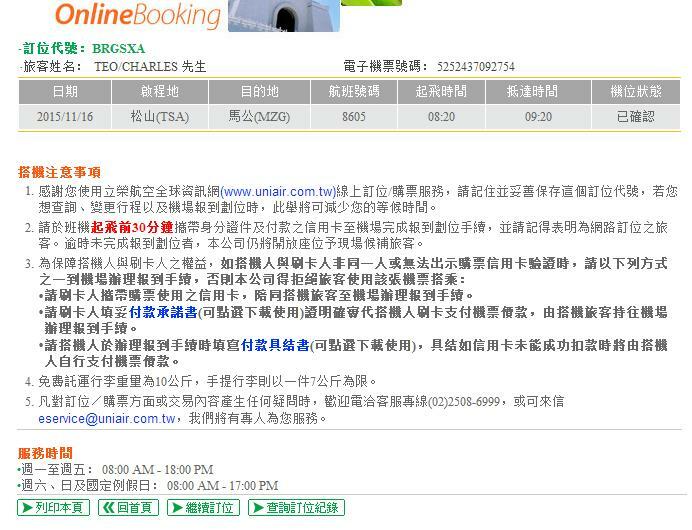 So once that was decided, I turned to the airline's website to make my booking. 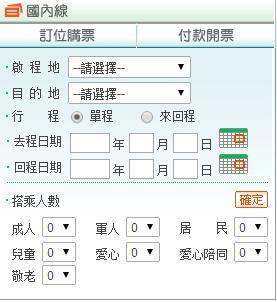 Uni Air's airfare is more expensive than other carriers flying on the same route, but one advantage is you can earn miles if you are a member of EVA Air's Infinity membership club. Uni Air is a domestic and regional subsidiary of EVA Air which was originally known as Makung Airlines. EVA Air took a majority share of this airline in 1996 and was merged together with Great China Airlines and Taiwan Airways to form Uni Airways (Uni Air) in 1998. This airline used to operate the MD-90 not too long ago but they were repainted to the parent's airline due to overcapacity and for now, this airline operates both Airbus A321 and ATR-72-600 aircraft. Makung Airlines used to operate BAE-146 (now known as Avro RJ) and were sold when this airline was formed. 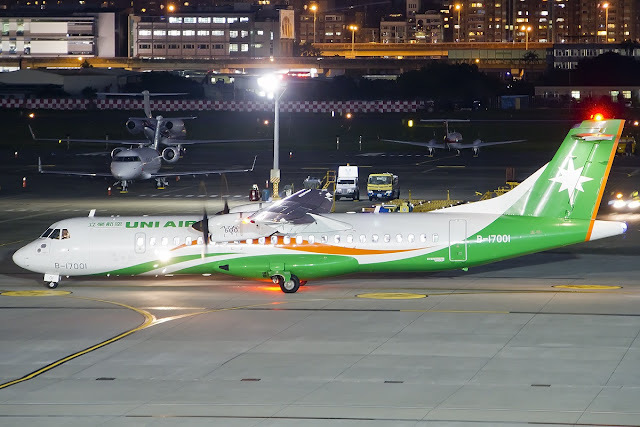 DHC-8-311 Dash 8 aircraft and MD-90 operated for Uni Air from 1998 to 2014. Unfortunately, this airline has no English version. 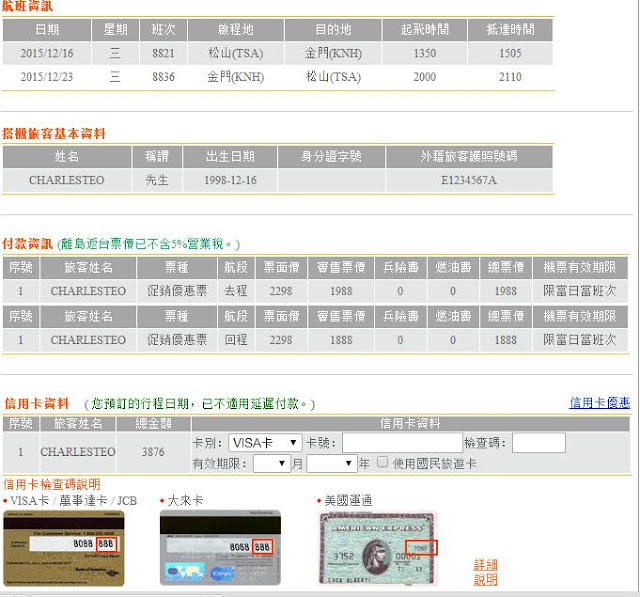 Once that is done, you can use your credit or debit card to make the payment. Flying on Taiwanese domestic flights has become a routine for me, and this is my 7th domestic joyride at Songshan Airport. Staying along the MRT line is very convenient especially its not far from where I stay and the Songshan Airport has a train station very close to the airport. Once I was at the airport, I did my check in and no questions asked about my return flight. The staff asked whether I prefer aisle or window seat, answer is straight forward! She got me a seat behind the wing, close to the rear, I am happy with it. ATR-72's seating configuration at least with Uni Air has no windowless seat, so I have nothing to worry! Checking the monitor screen, my flight was on schedule. It was a beautiful day of flying. What I like about Songshan Airport is there are lots of sitting area and airport comes with Free Wifi. The staff encouraged self check-in but I went to the counter instead to get the proper boarding pass. There you go, the boarding pass. I got to take good care of this pass, as you can see the ink is likely to fade out after some time. There is a plane model shop at Songshan Airport that sells a lot of these plane models! Once I passed through security, I went to the sitting area to wait for the boarding call. Boarding call was done and we boarded the shuttle bus just outside of the terminal. Once everyone was on board, the bus drove us to the waiting aircraft. 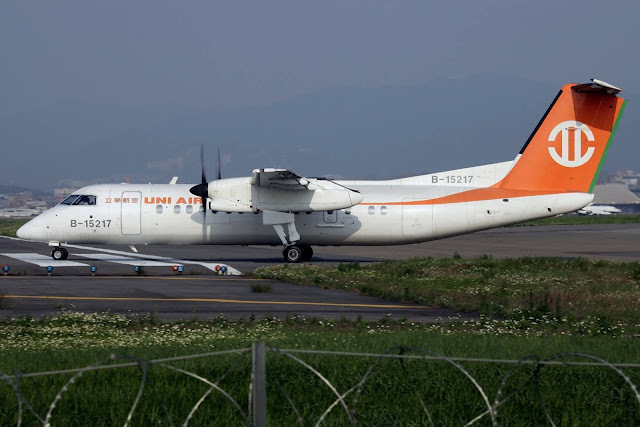 There were 2 Uni Air's ATR-72 and we drove to the one closer to the terminal and that is B-17001, the oldest ATR-72-600. I always enjoy boarding the aircraft this way, managed to take some photos. Unfortunately, I was stopped by a staff but at least I wasn't told to delete them. This is for security reason and they didn't want passengers to waste precious time, taking photos. It was a beautiful day for flying, very happy to be finally flying on Uni Air's ATR-72. Once on board, I have to mind my heard as the ceiling is quite low with the narrow aisle which makes it difficult to walk past someone. When I got to my row, there was someone else sitting at the aisle seat. What I notice after the door was closed was the middle rows of seats were vacant while the front and the rear rows were almost full, as this is to balance the aircraft. As you can see how small the aircraft is, configured in 2-2 configuration. The ATR-72-600 cabin is certainly an improvement over the older cabin. The seat is quite comfortable and legroom is adequate for me (6 foot 4). Every window seat has an actual window. If you have read my Scoot trip report, you would understand. The airline's magazines and safety card are kept in this compartment. You are able to see the contents when the tray is pulled down. The crew told us that we can't use laptop or tablets on our flights, possibly only the ATR-72 flights but mobile phone in flight mode is allowed. I guess its because of the limited space, in fact there is no where to place our laptops and tablets as they are needed to be stored during take off and landing. As flight duration of the ATR-72 flights are usually short, it is not a big deal. For the ATR-72-600, the cabin crew consists of 2 and one of them was in charge of the front while the other at the rear. For my flight, these 2 Taiwanese crew were friendly and helpful towards us while we were finding out seats. Through out the flight, the crew came around to check whether we needed anything and also served us a packet of drink and a packet of wet tissue. That's how cabin crew should be like, always helpful and courteous towards the passengers. The weather was beautiful for flying as mentioned earlier on and it was pretty smooth for most parts, with just slight turbulence at the initial take off stage and during approach. Thinking about it now, I wish the flight was longer. Flying the ATR-72 isn't that bad as I used to think it was. Well, this is another story. It was a great flight with another good experience with Uni Air. I had flown this airline before and you can check out the trip report over here. A choice of drink - apple juice or green tea, I chose the former. 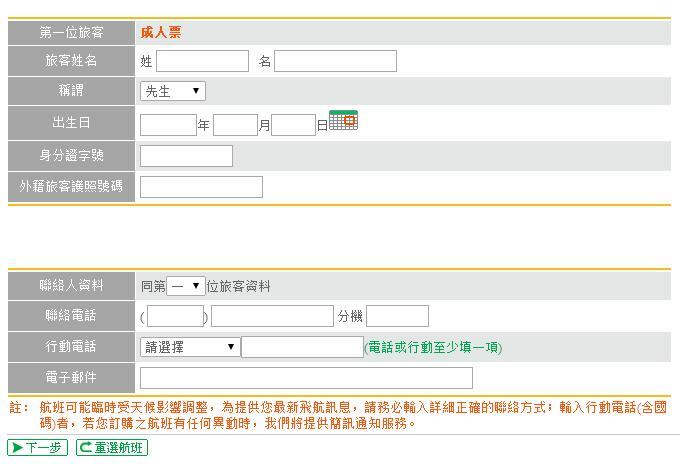 Photography and video recording at Magong Airport are strictly prohibited as the airport is also a military airport, therefore I didn't take video of the landing and photos of the airport upon arrival to the gate. This aircraft doesn't have the APU (Auxiliary Power Unit) which powers the aircraft while the engines are off. To obtain power, it needs to hook a cable onto the aircraft (near the cockpit) by a vehicle which provides power. So when the aircraft arrives at the gate, one of the engines will continue to run until the cable from the vehicle connects to it and provide power, only then the pilot turns off the engine. For departure, the flight crew has to seek permission from the Airport Traffic Control to push back and engine start up before it can commerced its departure. After clearance is given, the right engine would be turned on and once its stablised, the power connecting to the vehicle would be removed and the aircraft is cleared for pushed back. After push back, the remaining engine would be turned on and off you go! Taxiing to runway 10 for departure. There was no traffic at that time, so our taxi to the runway was a quick one. Reaching the threshold on runway 10 and we stayed on the runway for a couple of minutes before taking off. Why? I have no idea. Took off in this beautiful weather! This is my first time departing runway 10 on the left side of the aircraft, usually I will be on the right side admiring the view of Taipei 101. Little bit bumpy during the take off as there was some crosswind. This mountains you see are pretty high up! We were cruising around 14,000 feet. Soon, we were over the sea. Just a few more turns and we were soon on final approach to Magong Airport. The sight of Magong appeared as the aircraft descend in smooth air. My last few shots before I stopped. Landing was smooth and we hit the runway with a soft thud. Well done, pilot-in-command! 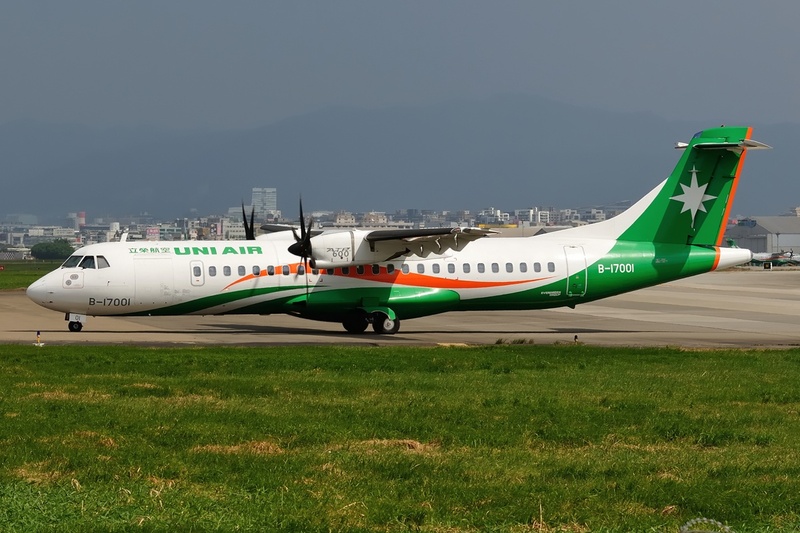 Uni Air is one of the more decent airlines in Asia. Its not surprising since its under the Evergreen group which also owns EVA Air. 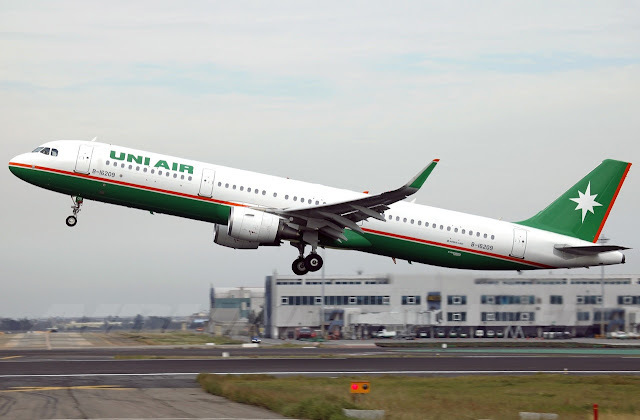 This airline flies on mainly domestic and small number of international routes operating ATR-72-600 and Airbus A321. 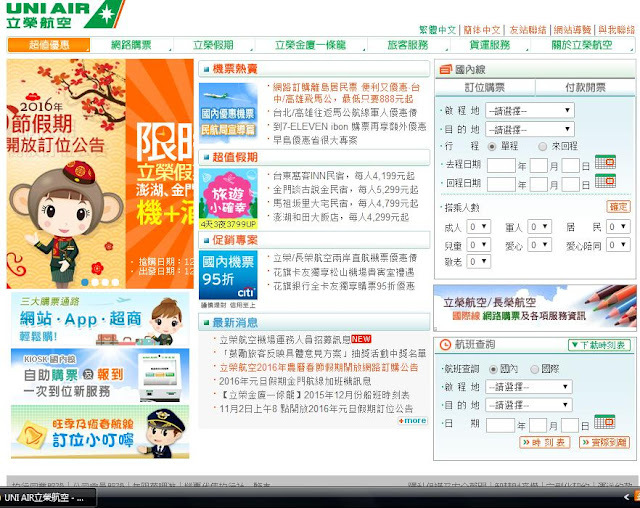 This airline could use EVA Air's aircraft like the Boeing 747-400 to fly to popular markets such as Shenzhen. Only thing is the airfare is often more expensive than others since the demand is high. 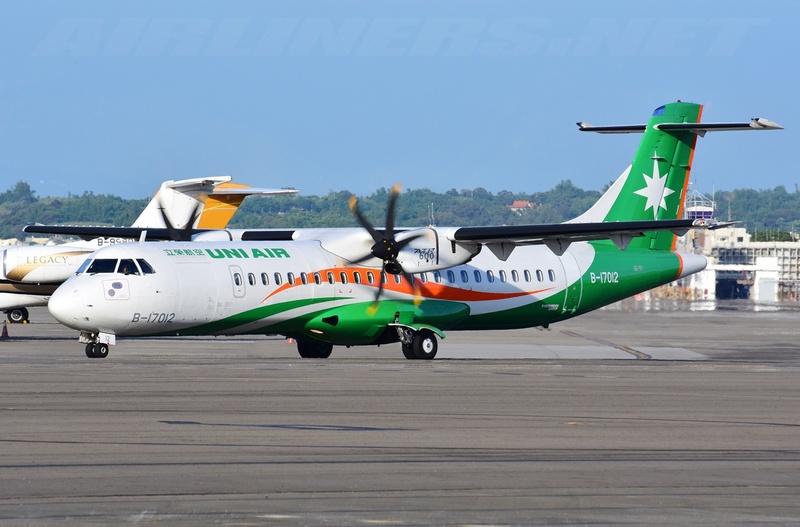 I am glad to have finally able to fly on this airline's ATR-72 and to be honest, I find it to be quite a nice plane to fly on especially in good weather. Uni Air's interior and the good service from the crew makes it even more enjoyable on this short flight, and I am more than happy to fly with Uni Air and the ATR-72 again. 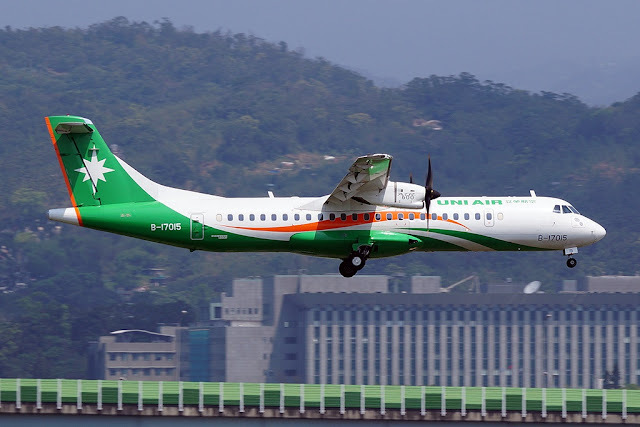 ATR-72, if properly maintained with a set of good pilots, its a safe plane to fly on, so don't worry about its safety record and besides there are hundreds of this aircraft type flying every day. 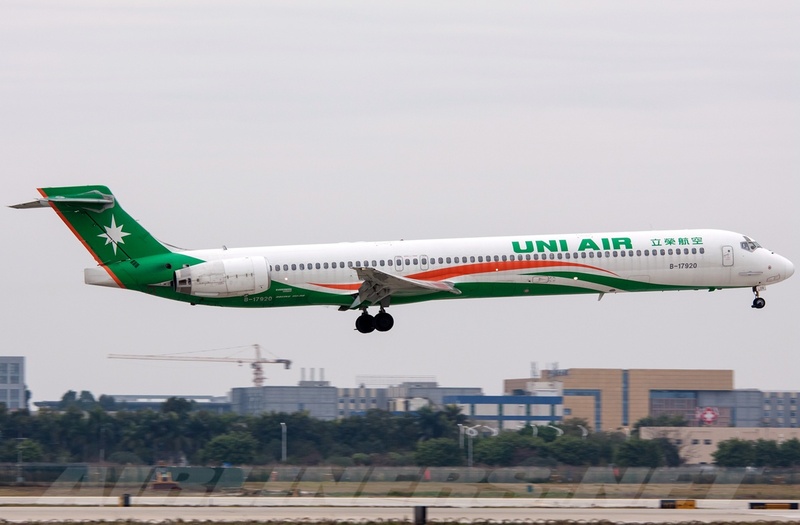 You can check out my Uni Air's MD-90 (retired) trip report over here. For my return flight (Magong to Taipei on the later flight), click here.